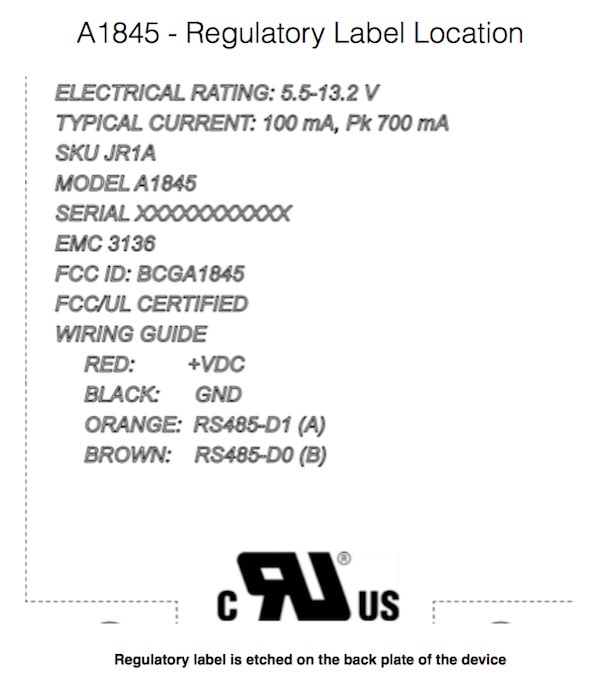 Apple has, for the third time, submitted an unnamed “Wireless Device” to the FCC. The U.S. government agency regulates communications, and Apple needs its sign-off before moving forward with the release of new products. This submission follows two others which relate to an unnamed device carrying model numbers A1844 and A1846, with the new device carrying the number A1845. We don’t know what any of these devices are, but it’s likely that they are at least related given the sequential model numbers. Apple has once again requested permanent confidentiality for the vast majority of the documents which were provided to the FCC as part of this new submission. That includes photos, manuals, and schematics of the devices in question, and that in turn means that the device, its dimensions and its uses are essentially a mystery at this time. What we do know, based on the very first submission (A1844), is that the devices include two slightly curved edges and the use of two Torx screws. Extrapolating from that is obviously impossible at this time, but it was deemed a hint enough by Apple at least as the latest filings do not carry an image or design implementation whatsoever. One detail we do have from all three recent submissions to the FCC is the fact that the devices include both Bluetooth LE and NFC, which may or may not offer an insight into its potential use. Initial thoughts with the original “Wireless Device” filing pegged the device as an updated Apple TV, but the existence of prominent and lengthy regulatory text which appears to be etched on the device itself, including a wiring guide, would suggest that this isn’t something designed to be seen by users. This could suggest we are looking at a device for retail stores such as an iBeacon. We may never know what these submissions pertain to, even if something is finally released. It’s important to always remember with such things that Apple applies for lots of things like this, but not all end up becoming shipping products. I was thinking it’s Apple’s version of Alexa BUT the NFC wouldn’t apply… interesting. Key fob style Apple Pay thing? Sounds more difficult than taping a card. ..perhaps it’s a fancy NFC key for their car concept?